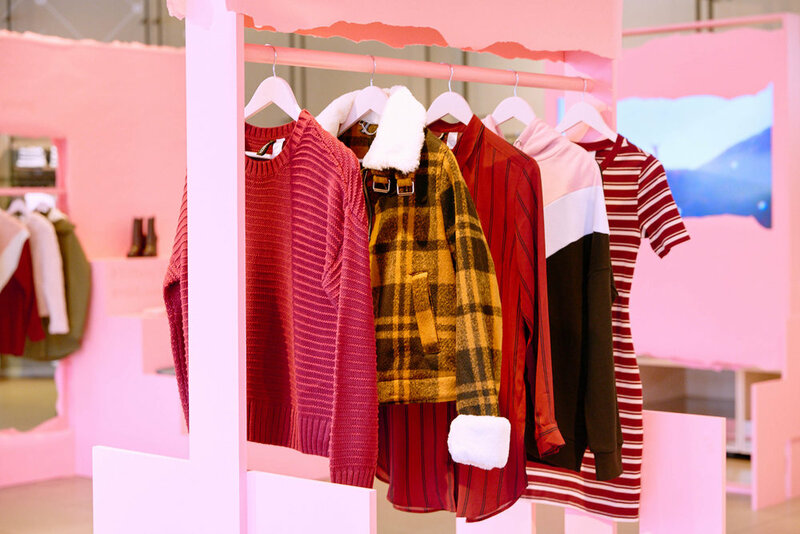 To celebrate the launch of H&M’s Tiffany Young collection, The Gathery created a charming in-store event at the brands Sunset Boulevard location. The installation included custom product displays, a stage and photo set designed to host the K-pop star and hundreds of screaming fans. Inspired by the album art, the photogenic, playful, and interactive sets where revealed through a torn paper and plastic build method. Custom takeaways were signed by the artist including a series of custom “trading” cards packaged with other collectible K-Pop goodies.